*Ed. Note: This is Greg’s inaugural commentary as a featured expert contributor. Greg is a member of WLF’s Legal Policy Advisory Board, and has extensive experience in law enforcement as a former United States Attorney and Deputy General Counsel of the FBI. He also served five terms in the Nevada legislature, where he was Chairman of the Senate Judiciary Committee. Foreign Sovereign Compulsion, Act of State and Comity: Can They Save You? Some may wonder why my blog, White Collar Defense and Compliance, regularly reports on the Justice Department’s criminal antitrust record and trends. For white-collar practitioners, the FCPA and criminal antitrust prosecutions regularly lead to opportunities to represent companies and/or officers. Apart from that, there are important reasons to monitor the Justice Department’s criminal antitrust investigations and prosecutions. What if the National Basketball Association (NBA) vaguely defined a three-point shot as, “somewhere more or less around the three-point arc?” Would the Dallas Mavericks still have defeated the Miami Heat in the finals? We face a Congress that puts forth an ever-increasing volume of laws in general, and of criminal laws in particular. It should be no surprise that as the volume increases, so do the number of imprecise laws. And no surprise that our indulgence of imprecisions that violate the Constitution encourages imprecisions that violate the Constitution. Fuzzy, leave-the-details-to-be-sorted-out-by-the-courts legislation is attractive to the Congressman who wants credit for addressing a national problem but does not have the time (or perhaps the votes) to grapple with the nitty-gritty. In the field of criminal law, at least, it is time to call a halt. I do not think it would be a radical step—indeed, I think it would be highly responsible—to limit ACCA to the named violent crimes. Congress can quickly add what it wishes. Because the majority prefers to let vagueness reign, I respectfully dissent. 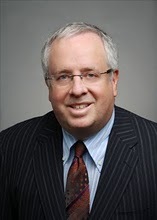 When the meaning and application of ambiguous statutory terms is left up to prosecutors and regulators, those largely unaccountable officials, in the words of former federal prosecutor Michael Volkov, “become not only enforcers of the law, but also judge and jury.” Mr. Volkov made that, and many other critiques of how the FCPA, at a WLF Web Seminar program today “Is An ‘Effective Compliance Program’ Enough? : Lessons from Foreign Corrupt Practices Act Enforcement Actions and Settlements.” A recording of that live program is available here. We want Americans to follow the law, but it is fundamentally essential that those laws are well-defined and easily understood.